From 9 – 12 August 2018 the Rosendal Chamber Music Festival, founded by pianist Leif Ove Andsnes on the west coast of Norway, will take place for the third time with a focus on music in the shadow of the Great War. 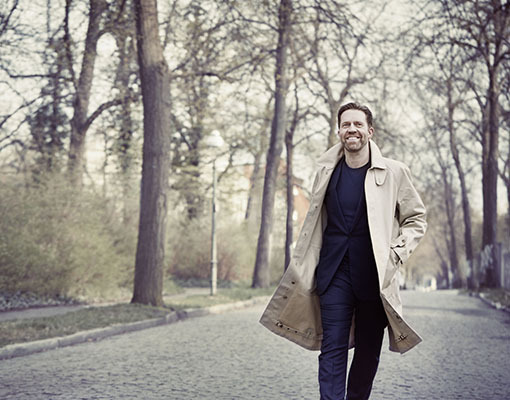 Joining Andsnes on stage will be Matthias Goerne (baritone), Anna Prohaska (soprano), Kirill Gerstein, Bertrand Chamayou, Eric Schneider, Ingrid Andsnes (piano), Henning Kraggerud, Akiko Suwanai, Johan Dalene (violin), Lars Anders Tomter (viola), Edgar Moreau (cello), the Dover String Quartet, Andreas Ottensammer (clarinet), Guy Eshed (flute), Sivan Magen (harp) and Tim Gibbs (double bass). The programme includes Stravinsky’s Soldier’s Tale Suite which was premiered in the last months of World War One and Ravel’s La Valse, widely seen as a metaphor for the predicament of European civilisation in the aftermath of war. Interlaced throughout are works which all have their unique story and voice; Janacek’s expressionistic Violin Sonata which echoes the sounds of bombs in the last movement; Vaughan Williams’ post-romantic and life-affirming Lark Ascending; Ravel’s neo-classical Le Tombeau de Couperin, dedicated to the memory of friends who died fighting; and the pure folk-song settings of Armenian composer Komitas, who was arrested and deported to a prison camp in 1915 by the Ottoman government. One complete programme is dedicated to Debussy who bridged the gap between the 19th and 20th centuries like no-other. His death occurred in the midst of the aerial and artillery bombardment of Paris during the German Spring Offensive in 1918 and his funeral procession made its way through deserted streets as the German guns bombarded the city. Whilst the instrumental concerts focus almost entirely on music written during the years of World War I, Rosendal welcomes two singers who present their own unique programmes reflecting similar themes. Soprano, Anna Prohaska, performs from “Behind the Lines”, her moving collection of songs set to war-time poetry by composers including Eisler, Quilter, Weill and Ives. Matthias Goerne returns to Rosendal to join Leif Ove Andsnes for a performance of Schubert’s Winterreise, bringing us back to the composer focus of the first Rosendal Festival in 2016 and the song cycle which epitomises isolation and loneliness. As part of the concept for the festival, Professor Gunnar Danbolt will curate a two-part exhibition focusing on reactions to World War One in painting and another on the work of Håkon Bleken, born in Trondheim, 1948. Håkon Bleken is an artist who is not only interested in problems relating to form, in a modernistic manner – though these are important for him – but who also has given particular attention to existential questions, often given actuality through contemporary events and happenings. 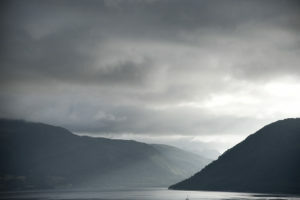 He was, for example, one of the first to reflect in painting on the massacre at Utøya. He is often inspired by literature, such as Henrik Ibsen and Thomas Mann, and by music. He is, therefore, an artist well suited for a festival with the title «In the Shadow of War». In addition, paintings created as reactions to the First World War will also be exhibited – admittedly not originals, but nevertheless good copies – such as one of the most shocking war paintings of World War One, namely Otto Dix’s The War (1932) and Per Krohg’s The Grenade (1916). Together, these exhibitions will accompany the music that will be performed, an accompaniment that will hopefully promote reflection and deeper understanding. There will be pre-concert talks and lectures by Astrid Kvalbein, Erling Sandmo, Gunnar Danbolt and John Pellowe.